The leading independent specialist for windscreen replacement and windscreen repair based in Dundee and serving all of the Dundee area. National Windscreens Dundee fitting centre provides windscreen replacement and windscreen repair services to businesses and individuals throughout Dundee and the Dundee area. 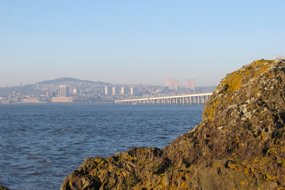 The fourth largest city in Scotland, Dundee sits within the eastern central lowlands on the bank of the Firth of Tay which meets the North Sea on the east coast of Scotland. The town rapidly increased in size during the 19th Century due to its jute industry. Dundee is serviced by the A923 and the A90 which provide access to the north and west of Scotland. The A92 allows access across the river and to the south. There is much culture and heritage to be explored in Dundee, as well as many places to shop, eat and get active. The Dundee windscreen fitting centre and its mobile vehicle glass technicians service the needs of Dundee and the surrounding area including Montrose, Forfar, St. Andrews and Arbroath. With 108 fitting centres and over 800 mobile technicians, National Windscreens operates the UK's largest windscreen repair and windscreen replacement network. The company provides low cost, high quality windscreen replacement and windscreen repair from its Dundee fitting centre 24 hours a day, 7 days a week, 365 days a year. Repair and replacement of all types of vehicle glass including windscreens, rear windows and side windows is undertaken throughout Dundee and all of the Dundee area.